We've been in a quandary. We have been an Xfinity X1 family forever, but we let HBO lapse. But my husband and I have been eagerly awaiting the return of HBO’s Game of Thrones, and season eight premieres on April 14th! What's a GOT fan to do?! Thanks to Xfinity's Watchathon Week, we'll likely be binge watching all the past episodes again, re-upping HBO, and inviting the neighbors to a watch party. What's your plan? 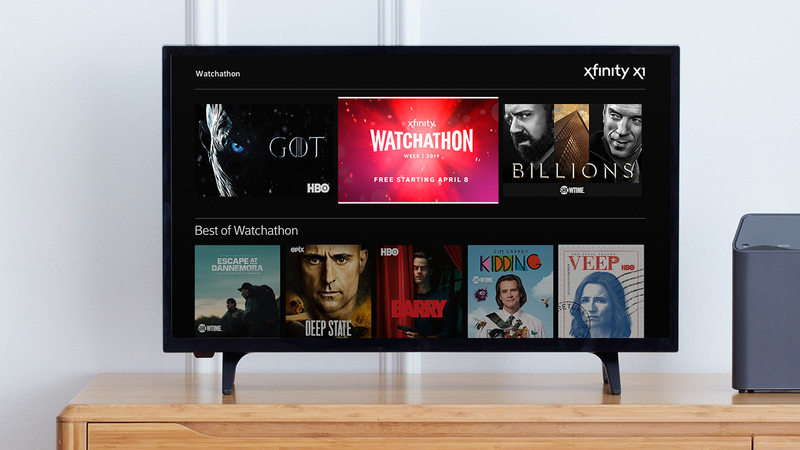 Comcast recently announced that the seventh annual Xfinity Watchathon Week taking place from April 8 - 14 will offer thousands of free movies and shows including more than 200 complete series. Xfinity TV customers can watch any and every episode of HBO’s Game of Thrones leading up to the season eight premiere on April 14th plus catch up on other fan-favorite series such as A&E’s 60 Days In, Acorn TV’s Manhunt, EPIX’s Punk, HBO’s Veep, MTV’s The Hills, NBC’s This Is Us, and SHOWTIME®’s Billions from start to finish. In total, thousands of TV and movie choices will be available during the weeklong free event, which has driven more than 340 million hours of on demand viewing over the last six years, and includes more than 70 networks and subscription video on demand (SVOD) services such as A&E, ABC, Acorn TV, Adult Swim, AMC Premiere, BET, Cartoon Network, CNN, Comedy Central, EPIX, FOX, Hallmark Movies Now, HBO, HGTV, HISTORY Vault, Lifetime Movie Club, Paramount Network, SHOWTIME, TBS, TLC, TNT, truTV, True Royalty TV, Urban Movie Channel and VH1. Additionally, a selection of programming from networks and SVODs will be available for Internet-only customers to sample on the Xfinity Stream app and Xfinity Flex. Xfinity TV customers can enjoy Watchathon Week across devices using the Xfinity Stream app and web portal. For more information on Watchathon Week, visit https://watchathon.xfinity.com/ or join the conversation on Twitter and Instagram by using #XfinityWatchathon and following @Xfinity. Content availability could vary across Xfinity TV platforms (X1, XfinityTV.com and the Xfinity Stream app). Of note, the full SHOWTIME service will be available on Xfinity on Demand and the Xfinity Stream app and portal for only a portion of the event - April 11 – 14.